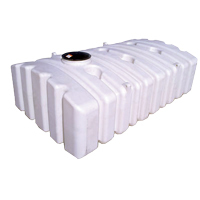 The 1250 and 1500 gallon low profile tanks may be used for storage or transport. These tanks are an excellent choice when height limitations are a factor and are the perfect height for putting under your cottage or cabin. 1,250 gallon poly low pro water hauling tank with a 2" poly fitting and a 16" lid. 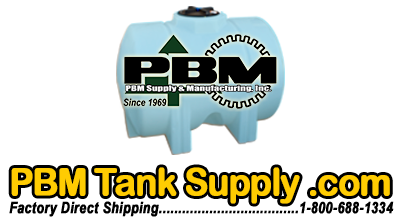 1,275 gallon poly low pro water hauling tank with a 2" poly fitting and a 16" lid. 1,500 gallon poly low pro water hauling tank with a 2" poly fitting and a 16" lid. 1,600 gallon poly low pro water hauling tank with a 2" poly fitting and a 16" lid. 2,400 gallon horizontal box water hauling tank with a 2" poly fitting and a 16" lid.